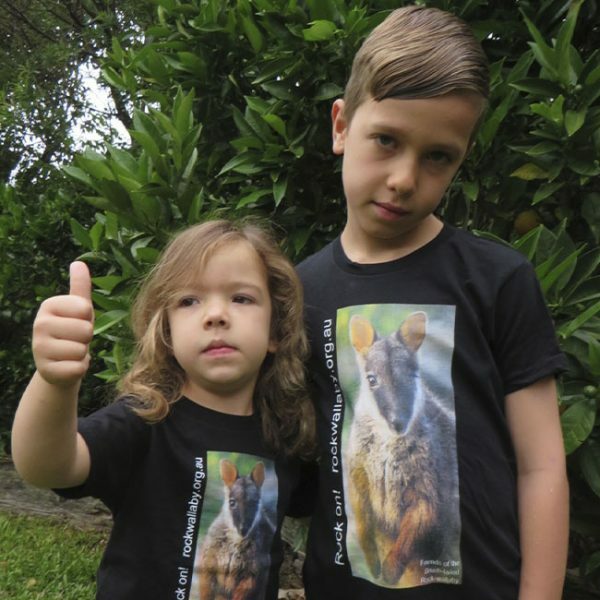 We sell loads of Brush-tailed Rock-wallaby merchandise, from t-shirts to photo books. 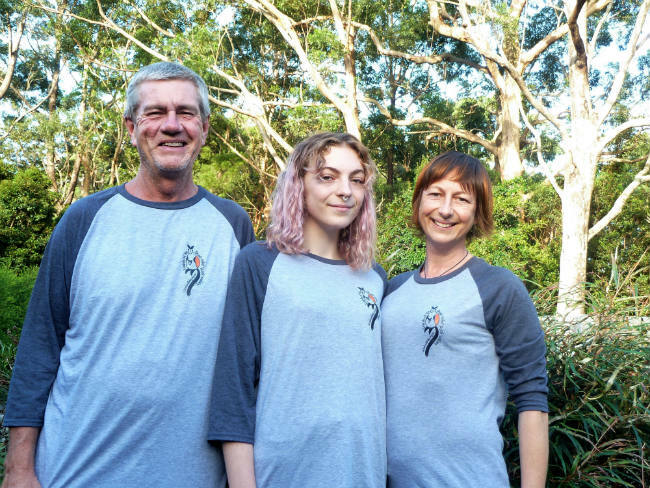 When you buy our merchandise, you’re helping to keep us running so that we can help our Brush-tailed Rock-wallaby colonies recover. 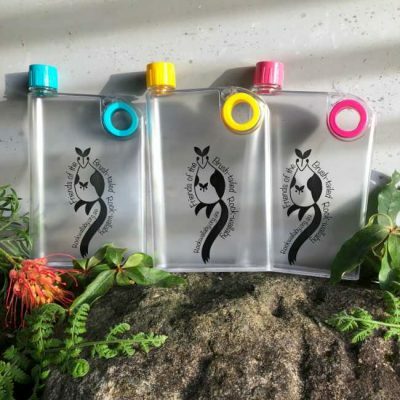 Our novel, notebook-shaped water bottles slide easily into bags alongside books, laptops and folders or can be carried in one hand along with a phone or tablet. 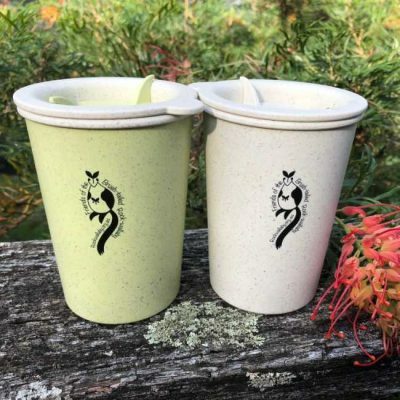 Their secure screw-on lid and handy silicon finger grip come in a range of fun colours. 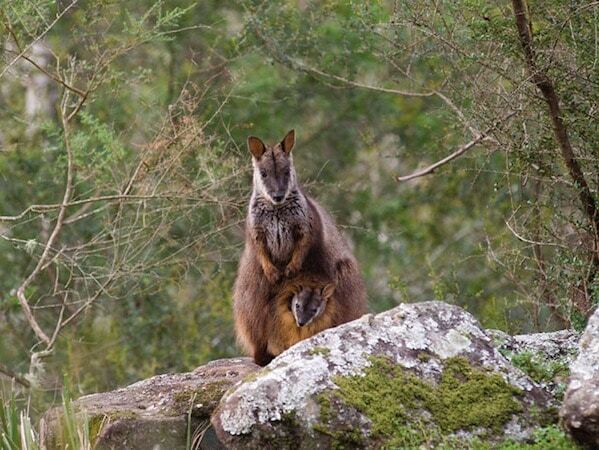 Our tote bag and trendy travel mug are eco-friendly, so you can support the Rock-wallabies and the environment! 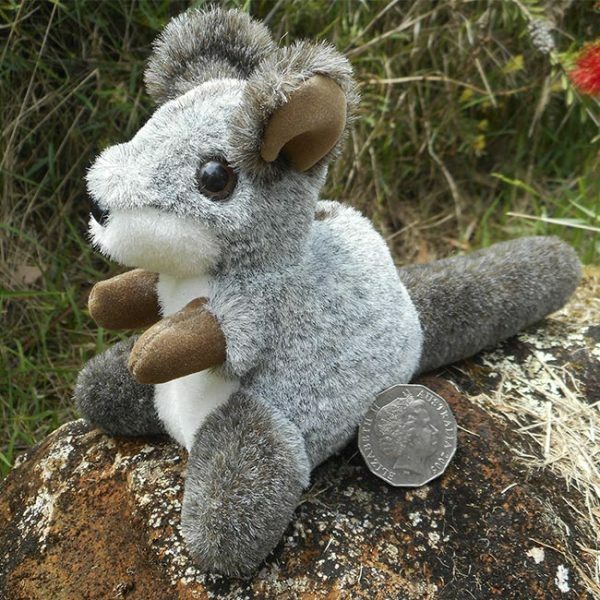 Jozzies cute soft toy Brush-tailed Rock-wallaby makes a cuddly gift. 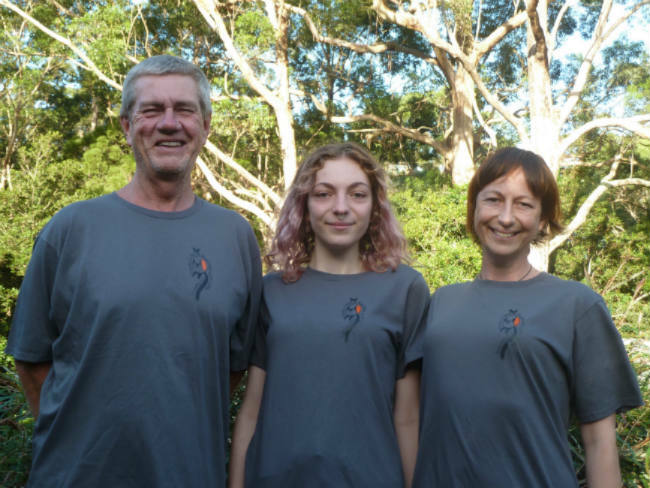 Our quality organic cotton t-shirts are available in a number of colours and sizes shown below. 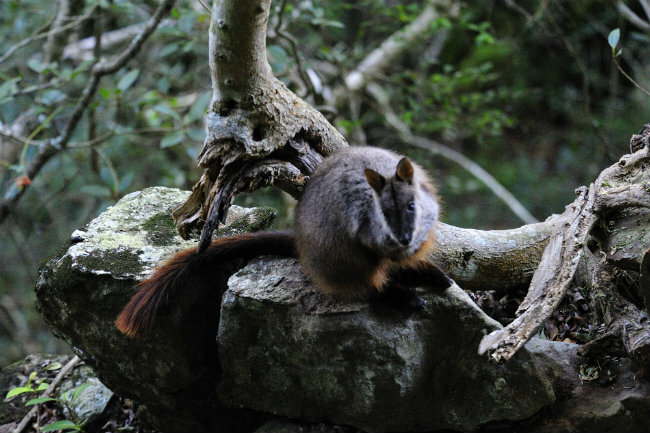 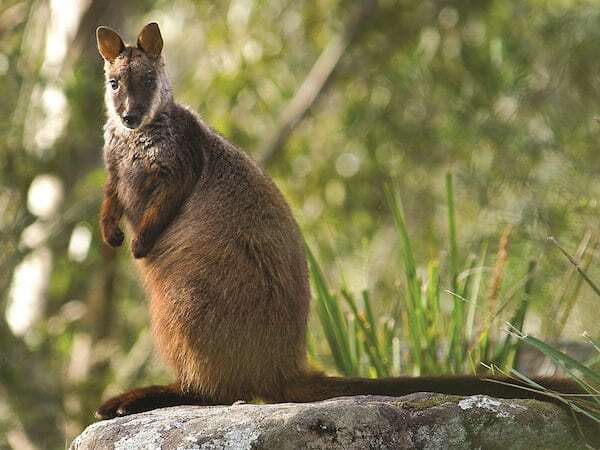 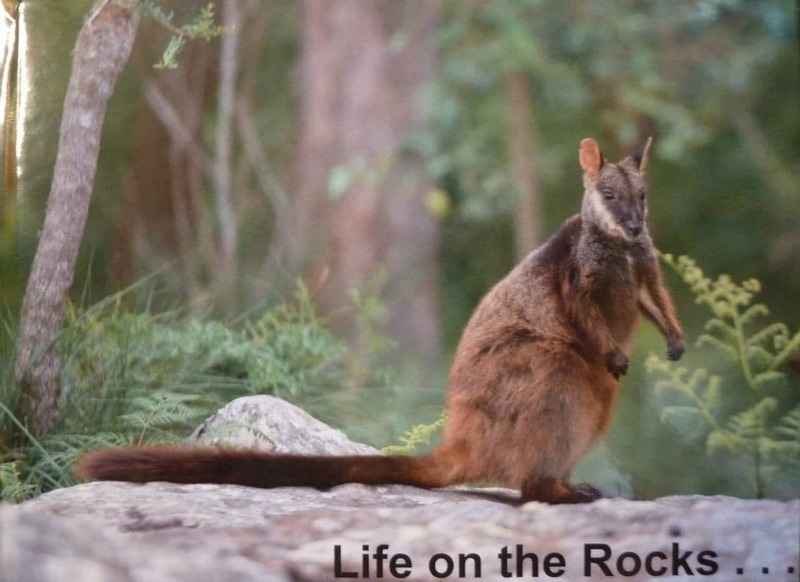 Take a peep inside the family photo album of Kangaroo Valley’s Brush-tailed Rock-wallaby colonies with the ‘Life on the Edge’ photo-book. 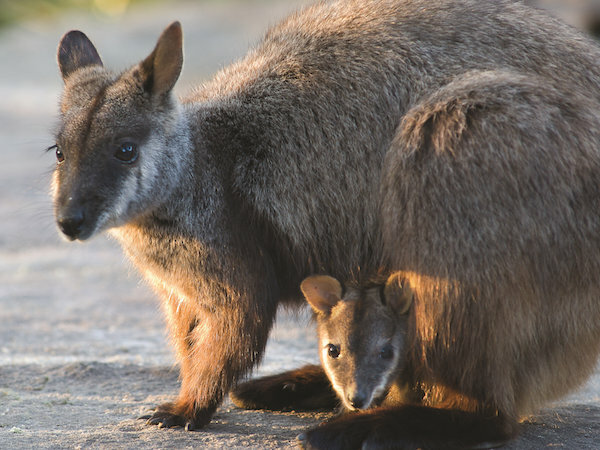 Featuring adorable close-ups of joeys in their Mum’s pouches, photos of the animals appearing at night, and find out who is cuddling up with whom in this beautiful and intimate view of the secret life of Rock-wallabies. 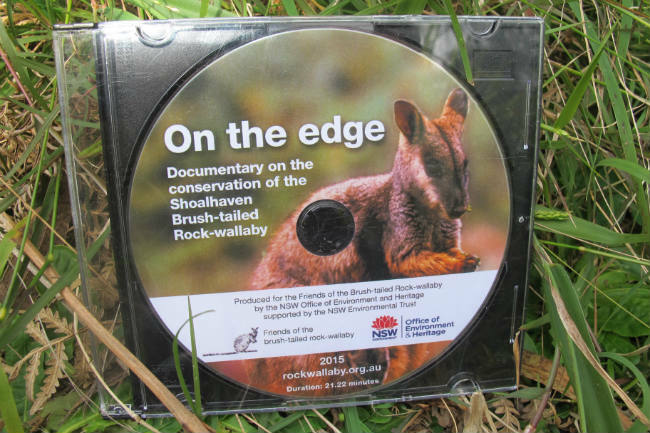 We also offer a DVD copy of our documentary ‘On the Edge’ which looks at the conservation of the Shoalhaven Brush-tailed Rock-wallaby. 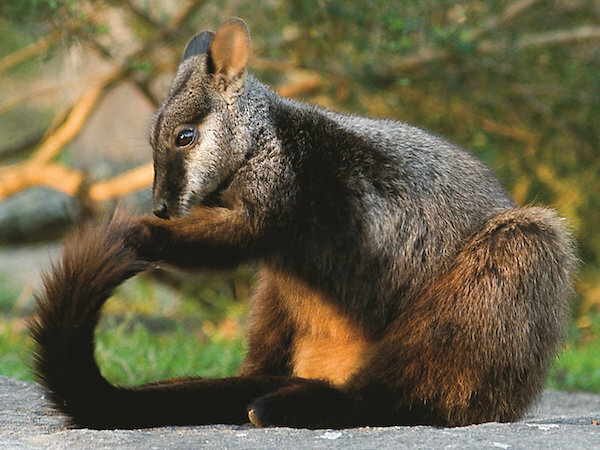 We are always looking for shops to display and sell our range of beautiful postcards to help spread the word about this enigmatic species. 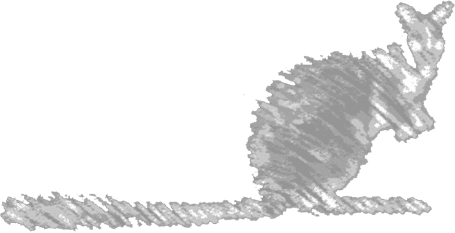 Don’t want to order online? 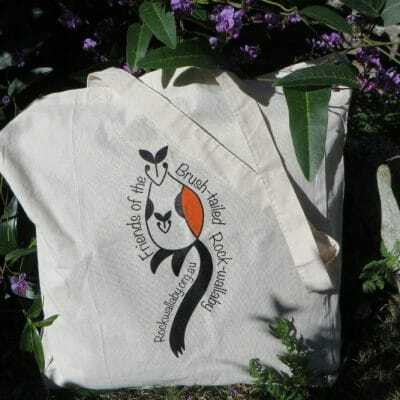 Use our Merchandise Form.